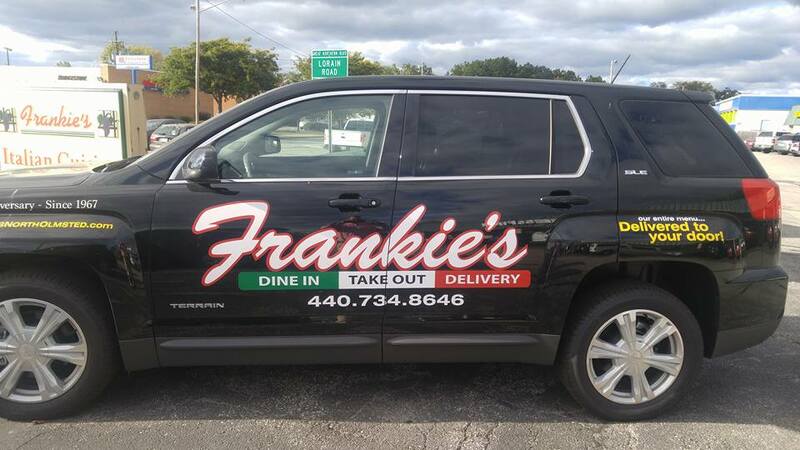 Frankie's Italian Cuisine Joins NEOSI To Sponsor North Olmsted High School Sports! The city of North Olmsted has always been passionate about two things, football and good Italian food! NEO Sports Insiders has found a way to combine those passions for North Olmsted fans! Earlier today it became official, and in the biggest merge since Smith & Wesson, Frankie’s Italian Cuisine is now a full-fledged partner of North Olmsted High School Sports coverage with NEOSI! Frankie’s has been in business in North Olmsted for 50 years and after taking one bite of their food, you will quickly see why. Frankie’s has been around for three generations and owner Frank Fusco is doing everything the right way to keep that proud tradition going for many years to come. He uses fresh ingredients in all of his dishes, and the family recipes that have kept customers coming back for decades! Each week, bring your copy of this article, or any article we write about North Olmsted Sports mentioning Frankie’s, and you can receive big time discounts on your meal. Stay tuned for further details. What makes Frankie’s so special and has made it the most popular eatery in North Olmsted for more years then most of us have even been alive? Simple, a dedication to their craft that is unmatched by any other restaurant you will find. While pizza chains are a dime a dozen, Frankie’s is a nice crisp brand new $100 bill fresh out of the vault. Speaking of fresh, have you had their famous bread? You can eat plate after plate of it without wanting to stop until they have to wheel you out of there at closing time. But knowing Frank, he is liable to sit down with you after close and tell you some classic stories! Like any great chef, he puts more than ingredients in his food, he puts his heart into the food and that is what makes it so good! They have been there 50 years with 3 generations of customers with original recipes. Where else can you find that? You can’t! Their signature dishes are still made exactly today as they were 50 years ago. The dishes have stood up through the test of time and have not changed. They have added plenty of great dishes without ever losing focus on the ones that have been established fan favorites. Customers appreciate that and they crave that food consistency, and that is one of the keys to the incredible multi generation success of Frankie’s Italian Cuisine. Have you tried their sauce? It is so good you can swim in it! They make it fresh every single morning as it cooks for six plus hours, just like it was done in the old country! That has not changed, and it won’t. They have the freshest ingredients and everything is made right on the premises. Owner Frank Fusco is proud of their 50th anniversary next month, and he should be. In today’s day and age where things come and go so fast, and everyone wants instant satisfaction, Frankie’s continues to stand the test of time and improve daily. Those are the exact qualities everyone wants and enjoys. His parents started it and him and his sister carry on the incredibly proud tradition. Frank grew up in North Olmsted, he is local and supports all things North Olmsted. It is clear to see why North Olmsted continues to support him! 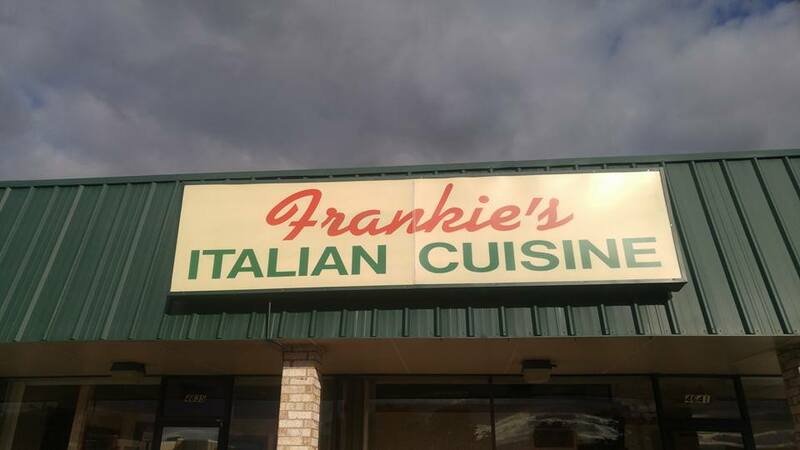 Frankie’s Italian Cuisine, yesterday, today and forever! The very best in Italian Cuisines, not only in North Olmsted but all of Northeast Ohio. Grab your slice today and find out what others have found out for 50 plus years! Don’t just take our word for it, visit them today! Not sure what you want? Try everything on the menu twice! You can start by taking a look at the menu at the link below, and we will see you at Frankie’s this weekend before, during and after the games!